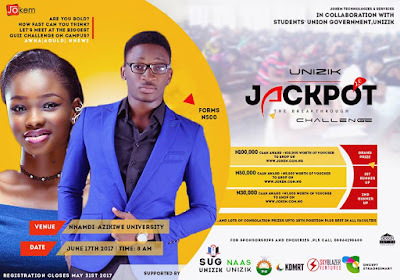 JACKPOT 2.0 is a big event that is aimed at bringing together scholars in various academic fields and rewarding those that made the stipulated score with fantastic prizes. 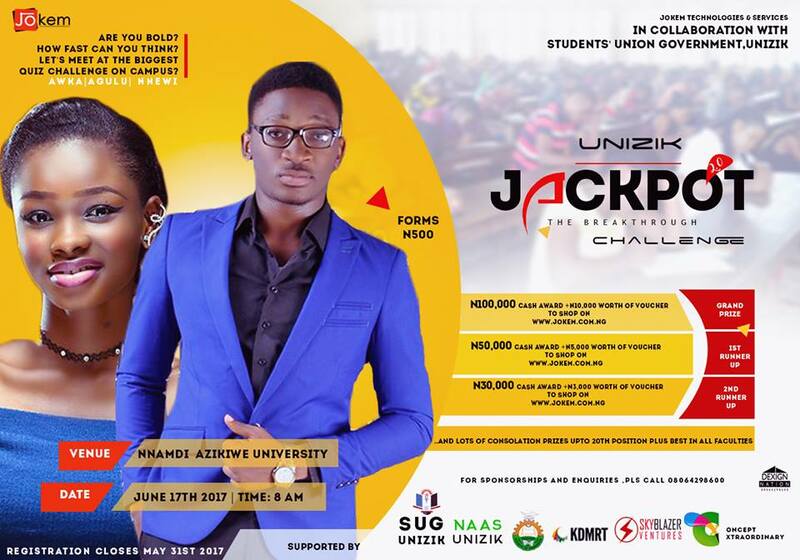 This is ONLY for UNIZIK students. Other Universities are not eligible to apply. Interested and qualified candidates should contact the number on the image for their ticket. You can also connect with Jokem Technologies on FACEBOOK to get information about any offer.